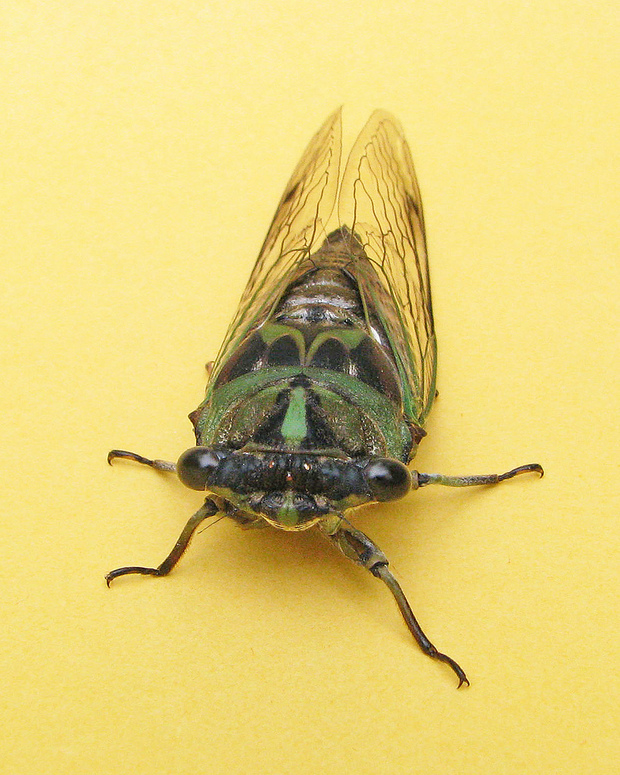 The Eastern killer cicada wasp stings and paralyzes cicadas for its young. CHICAGO — The killer wasps buzzing around Chicago this time of year are harmless — if you're not a cicada. 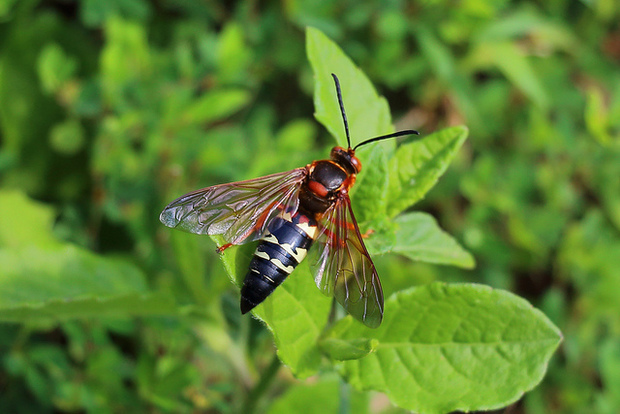 The cicada killer wasp species found across the mid- and eastern United States — Sphecius speciosus — emerge from the ground to feed on cicadas. The killers can be two inches long and are marked by yellow stripes and orange spots on their black bodies. The females have stingers, but the males don't. And they aren't out for humans, anyway. "They're really not aggressive at all," said Allen Lawrance, living invertebrate specialist for the Chicago Academy of Sciences and Peggy Notebaert Nature Museum. "They might inspect people, but you’d probably have to pick it up to get it to sting you." The wasps emerge in mid-to-late summer in sync with their prey, the annual cicadas heard humming from the city's trees. The wasps leave behind piles of dirt from all their burrowing, often resulting in patches of dead grass beneath the pile. The cicadas will end up a juicy buffet for the next generation of killer wasps. 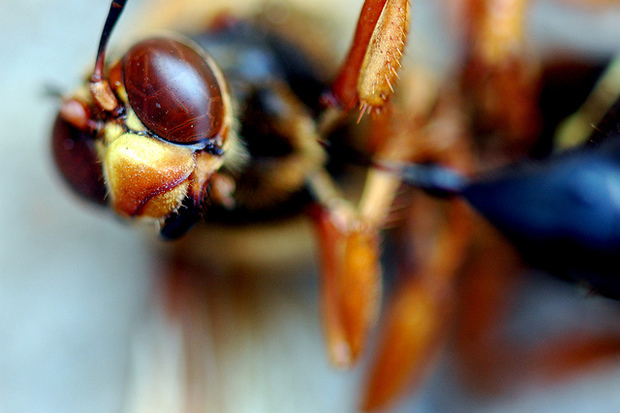 In her attack, a female wasp will sting a cicada, injecting venom that paralyzes the insect. The female then carries it back to her underground burrow, a task that can be an all-day affair, as cicadas can weigh two or three times more than the wasp. The female then places the paralyzed cicada in an offshoot chamber of her burrow, and lays an egg next to it. She seals up the entrance. As the egg hatches, the grub feeds on the still-living cicada. "It sounds a little brutal," Lawrance said. "But those cicadas are really big and juicy; it's a great source of nutrients for their children." Those larvae, after wrapping themselves in cocoons through the spring, will emerge next summer as the newest generation of cicada killers. For the most part, the killer wasps are harmless, and you might think of their vigorous digging as a bit of free lawn aeration. "Just try to ignore them," Lawrance said. "They’ll ignore you."